Global bank HSBC has taken its first pilot machine learning projects with Google Cloud Platform (GCP) into production and is now looking to ramp up the porting of applications and data workloads onto the vendor’s cloud infrastructure, once Google provides more granular encryption key controls in August. HSBC is a much-vaunted Google Cloud Platform customer and a key account in Google's attempts to court the financial services industry, with global HSBC CIO Darryl West speaking on stage at the Google Cloud Next event last year. In terms of scale, HSBC says it will have 100PBs of data on GCP by 2018. The first two machine learning use cases the bank has put into production focus on country-by-country liquidity reporting and anti-money laundering. West, speaking on stage during Google Cloud Next in San Francisco, said that the live liquidity reporting algorithm gives HSBC a country-by-country view in "minutes not hours", providing the bank with a massive productivity boost in this area. HSBC is also using a Google BigQuery data warehouse for real time anti-money laundering analytics, and is running a machine learning model on top of time series data to identify potential cases faster and more accurately. This is particularly important following the hugely damaging Mexican case of money laundering the bank was fined $1.9 billion for in 2012. Now the bank is targeting other workloads, including re-architecting some core apps to the Google Cloud, with its business banking apps first to the table. Without going into too much detail, West said: "We have a project to partner with Google for the next generation of these applications" with the intention of being "cloud native from day one". Now there are "several other workloads in the pipeline" as the bank looks to apply its new tools to other use cases. West said HSBC has been in constant conversations with Google regarding "the types of controls we need as a bank" so that it can start to move these workloads into production. The main sticking point here was the need for more granular encryption key controls, which West says Google is providing the bank in August. He added that there is "no nervousness" at the bank anymore that cloud environments are more risky than on-premise. "The controls reviews we have done have given us the confidence that the stack we are using and environment it runs in is very safe, secure and scalable," he said. "I'd suggest probably better than any on-prem installations in my view. "In our view, and I have said this to the regulators in the UK and US, if you engage productively with the cloud providers and have the right controls then your customer's data will be safer and more robust than an on-prem model, and we continue to work with the regulators to convince them of that." 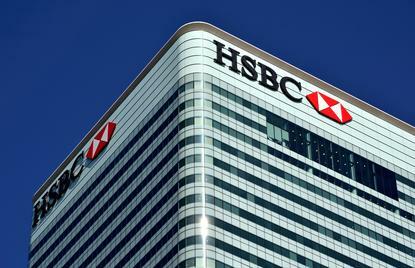 HSBC is a customer of all of the big three cloud vendors: Amazon Web Services (AWS), Microsoft Azure and of course GCP. West more than hinted that this multi-cloud approach is aimed, again, at appeasing the regulators. Speaking to a small gathering of press during the event he said: "Our strategy is to be multi-cloud and we will be doing the majority, if not all, of our data warehouse applications and big data applications with Google. We decided they have the best capability there and have been happy with the way we can work collaboratively with them to solve any problems we have. "The more practical issue is that we do need to have an alternative strategy as a risk mitigator as well, as I don't think the regulators would be comfortable with us just having a single supplier for everything, so for that reason alone it makes sense to talk to others and split the world up." This approach has a natural impact on the skills profile at the bank, but West was keen to spin it as a positive. "Our engineers need to be multi-skilled and we expect them all to learn the Google, Amazon and Azure way," he said. "Our engineers are excited by that, because they tend to be be religious zealots about platforms, and we said: 'we are going to use all three in various capacities and will train you on all three'. That makes them more personally marketable and they know they will be doing interesting work."